When it comes to decluttering, there’s often a gap between thinking about it and doing it. 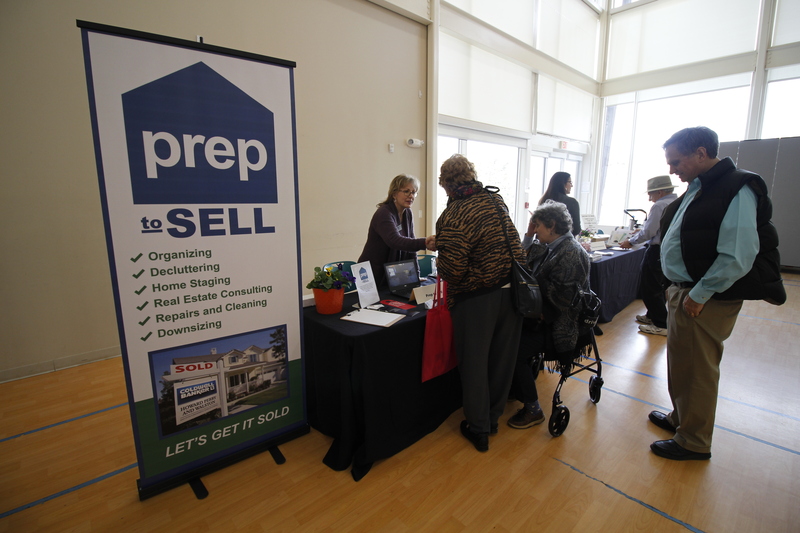 To address this gap, Orange County Department of Aging hosted an event that made it easier for community members to take action on their decluttering goals. 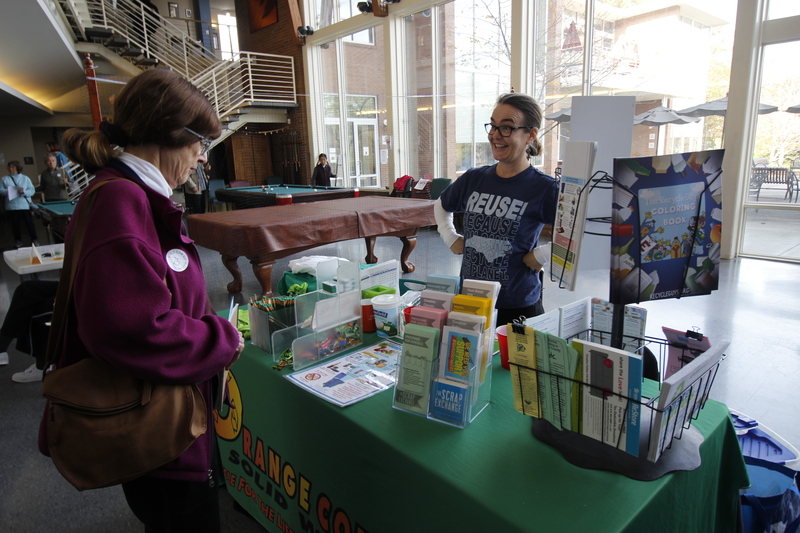 On November 18, the Department hosted part 2 of “The Organizing Extravaganza” at the Seymour Center. At the event, community members unloaded their excess papers, sharpened their eye for what’s valuable, and obtained sound advice about how to downsize… liberating them from their stuff! 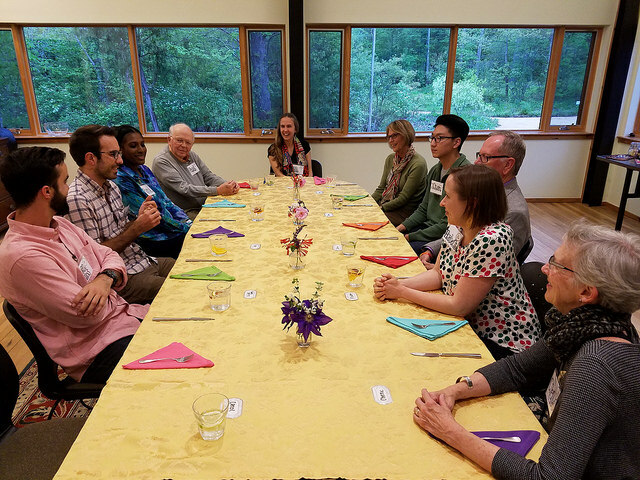 The event was created by an interdisciplinary planning team that included leaders from the Department on Aging, Charles House Association, UNC’s Partnerships in Aging Program, a Planning consultant, and an intern from UNC’s School of Social Work. 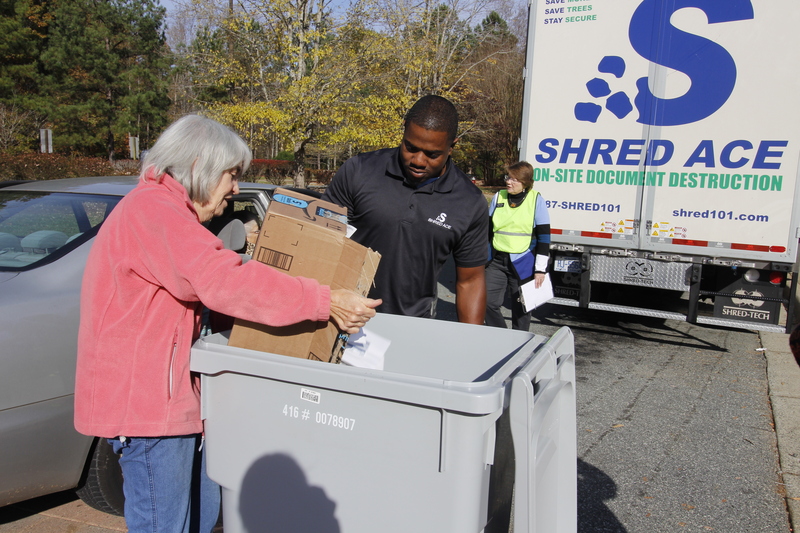 The event invited Shred Ace (a shredder truck), appraisers, professional organizers, senior-focused moving companies, and real estate agents specializing in senior housing to provide invaluable decluttering guidance and resources. For a full list of exhibitors, check out the list here. Over 100 attendees shared their appreciation for the event, particularly highlighting the importance of the onsite appraisers. Eileen Dawson, a community member, states that the she had been meaning to have items appraised before making decluttering decisions. 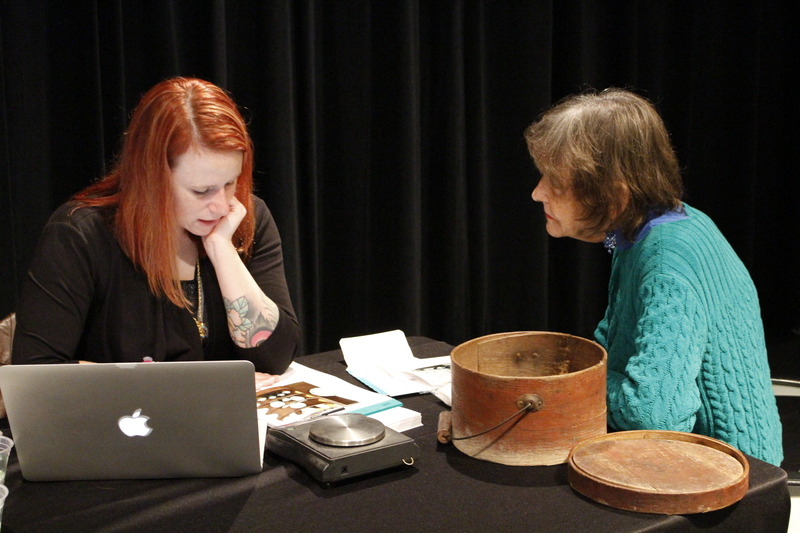 The event allowed Eileen “the opportunity to get a thumbs up, thumbs down answer” on the value of her belongings. Another community member, Cindy Gaines, said the organizing extravaganza allowed her to “confirm that the stuff that none of the kids want isn’t worth anything.” As a result, the event gave Cindy the confirmation to “continue decluttering and getting rid of our stuff”. Alice Barrow also shared a similar sentiment, stating that she was motivated to go through old documents and get rid of the excess. Then, for the fun of it, she brought on old clock to be valued by the LeLand Little appraisers. The Department of Aging understands how downsizing and decluttering is an ongoing effort that doesn’t stop after one event. 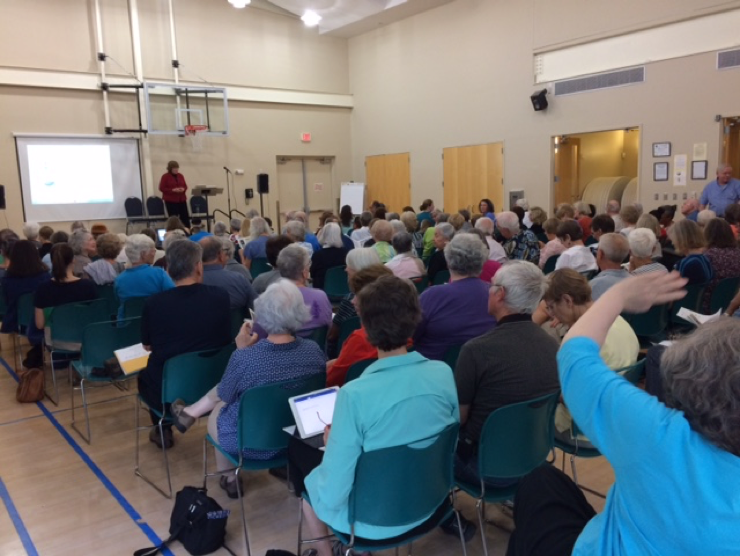 However, the Organizing Extravaganza was just one of many resources to help seniors take control of their lives and their stuff, one step at a time. How do we get rid of our clutter and retake control of our lives? Your documents: What to save? How long do you save it? What do you toss? Those questions were explored in Part 1 of “The Organizing Extravaganza”, a two-part event that engages community members in decluttering and downsizing all the stuff in their lives. The Orange County Department of Aging hosted Part 1 on October 9, and featured Keynote speaker Jane Armstrong, MSW along with panel speakers Colin Austin, estate planning attorney, Leland Little, President and Principal Auctioneer of Leland Little Auctions, and Tracy Lynn, senior move associate with Professional Relocation Options. Ms. Boyette goes on to explain that Jane Armstrong’s—and the rest of the panel’s—message was that decluttering gives you freedom to do the things you’ve wanted to do all along. Many of the items you have you might not actually need, or have very little to no value. Figuring out what you truly need is what will give you that freedom to downsize. Part 2 will occur on November 18 at the Seymour Center in Chapel Hill. We’ll have shredder trucks, a food truck, appraisers, professional organizers and movers, plus real estate agents specializing in senior housing all ready to help you accomplish your future life goals. Audience members at Part 1 of “The Organizing Extravaganza.” Photo credit: Cherie Rosemond.